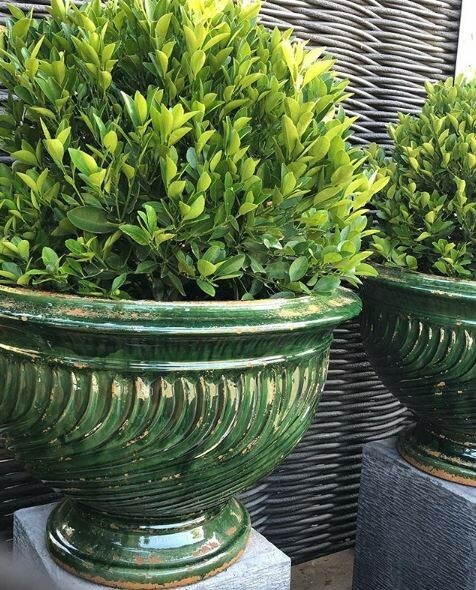 Les Coupe Stries Vert is a green traditional French planter with a detailed ribbing. 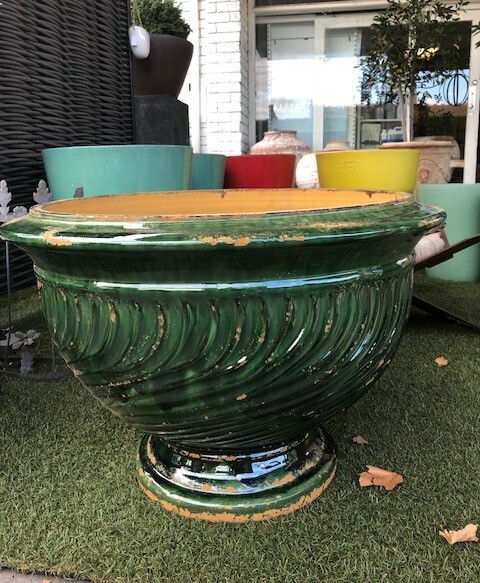 Dark Green Gloss Handmade French Pot with Stries Finish. Bowl has a drainage hole suitable for planting.